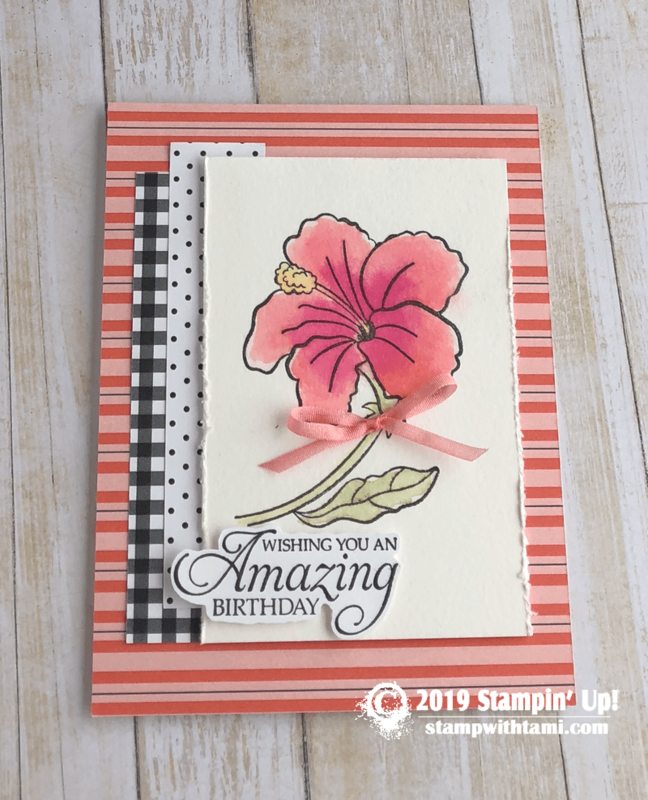 “Wishing you an amazing birthday” card from the Stampin’ Up! Humming Along stamp set in the 2019 Occasions catalog. The image is stamped on Watercolor Paper and painted with Watercolor Pencils and the Aqua Painter brush. The background paper is Botanical Butterfly & Happiness Blooms DSP.